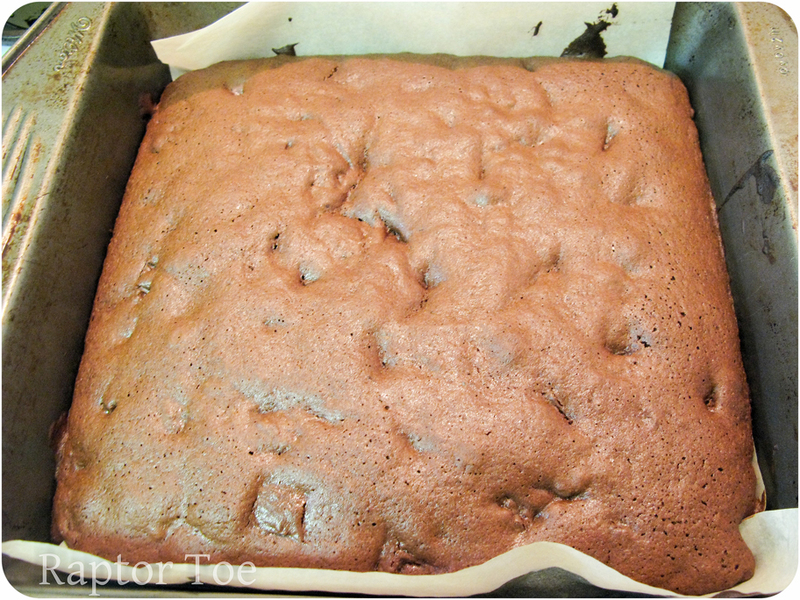 Brownies for Michelle | Raptor Toe - Food, Baking, Fun. 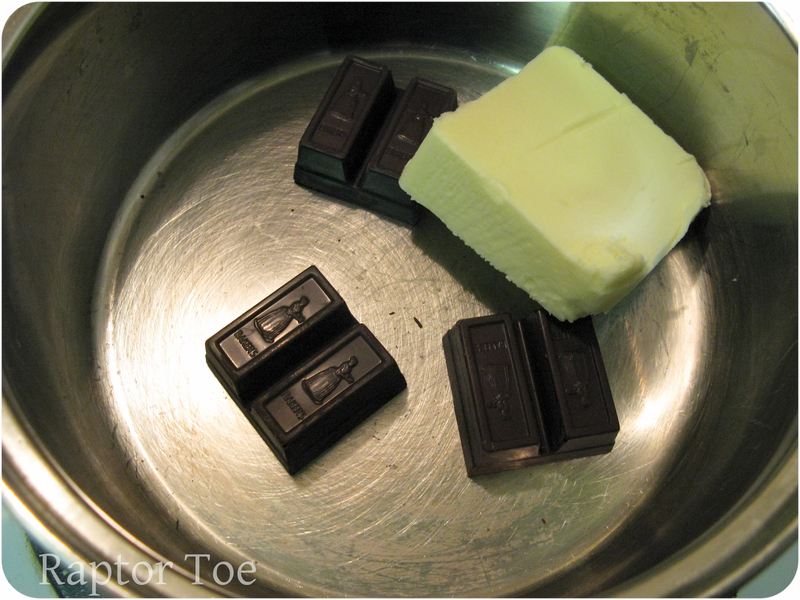 Melt the chocolate and butter together and allow to cool. If you're absent minded or have a weird stove, do this over a double boiler. 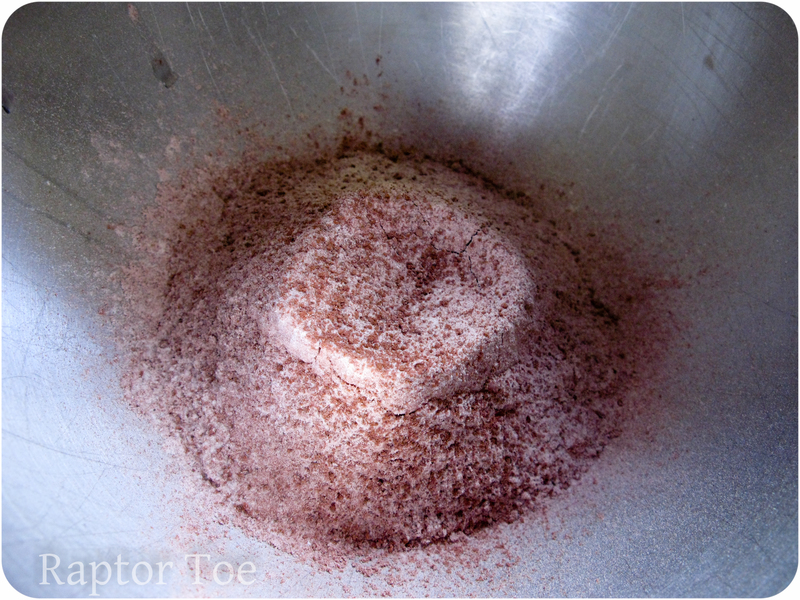 While it's cooling, in another bowl sift the flour, cocoa, baking powder and salt. 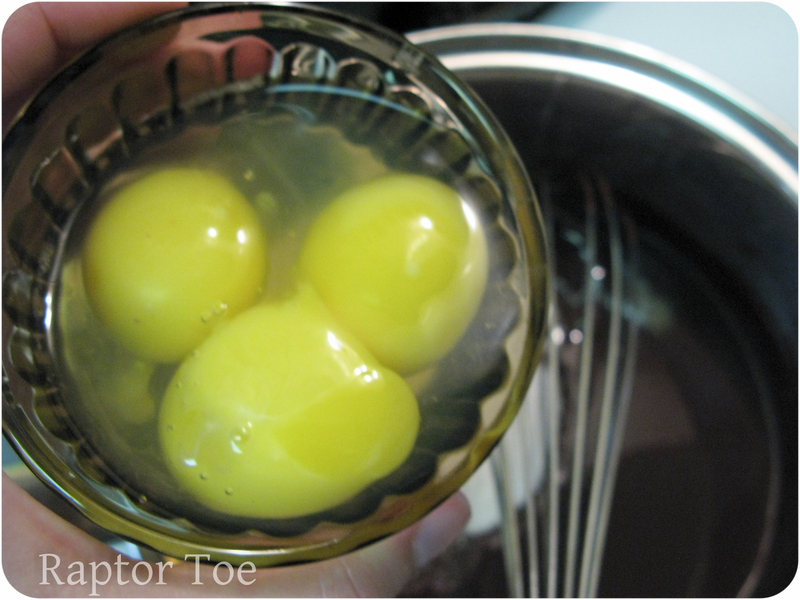 Add granulated sugar, eggs, egg yolk and vanilla. Mix until smooth. Add to flour mixture and stir until combined. Yeeheehee. 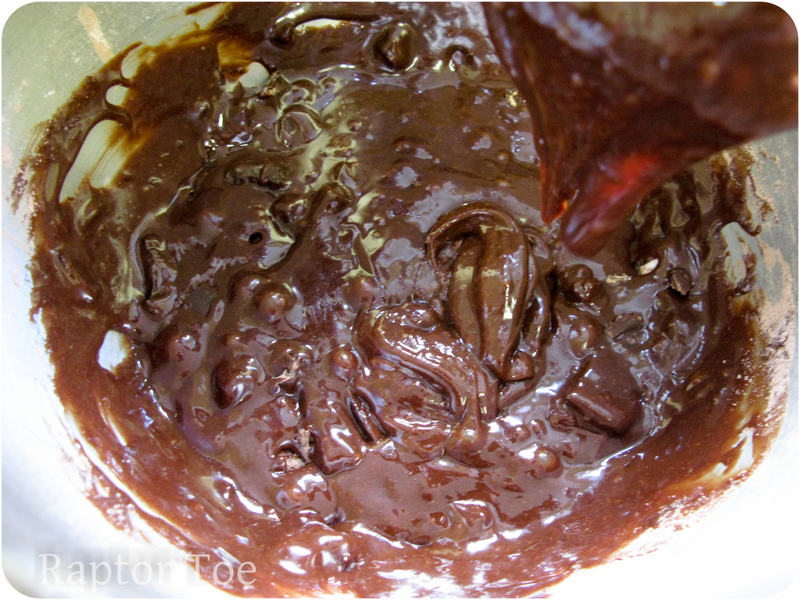 Stir in chocolate chips, or chunks. And pour into parchment lined square pan. 8x8 is best, I used a 9x9. If your pan is larger, cook the brownie less. Remember, parchment is your friend. Your long lost friend that will unravel the entire roll onto the floor every time you use it, and never rip evenly. But you still keep around and invite to parties anyway. Bake for 20-25 minutes, or when a toothpick inserted comes out with a few moist crumbs still attached. Let this cool! A bit, we don't have forever, we're making brownies here. We need time to EAT them. 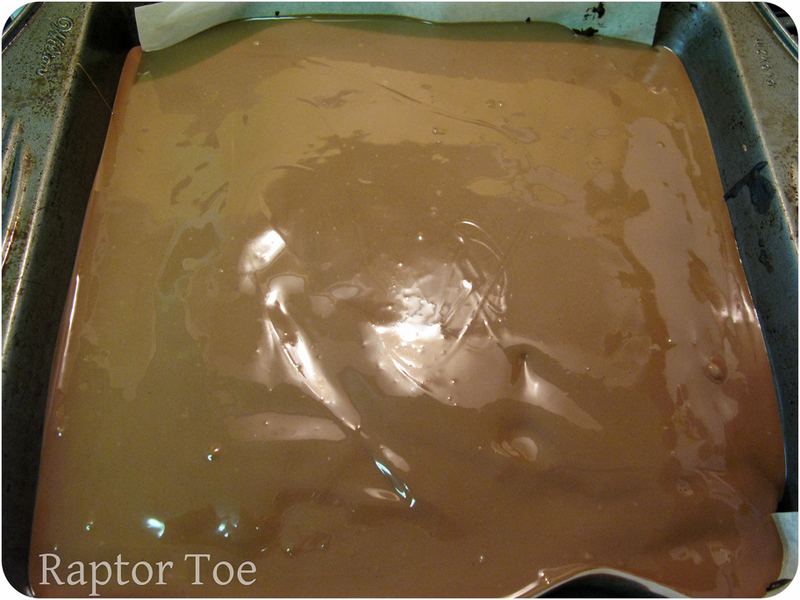 Mix milk chocolate and peanut butter and melt until smooth. 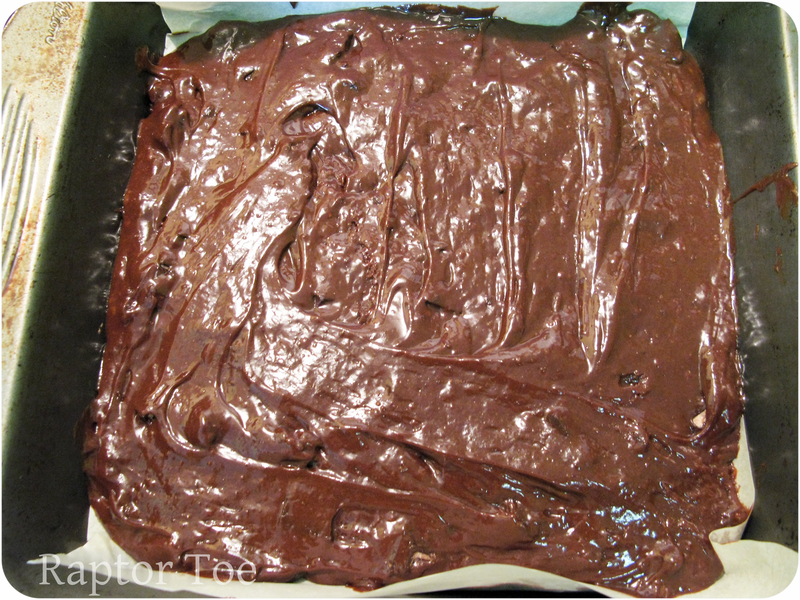 Pour mixture over entire brownie in pan. Lick fingers, pot, spatula, counter, wherever this stuff falls. 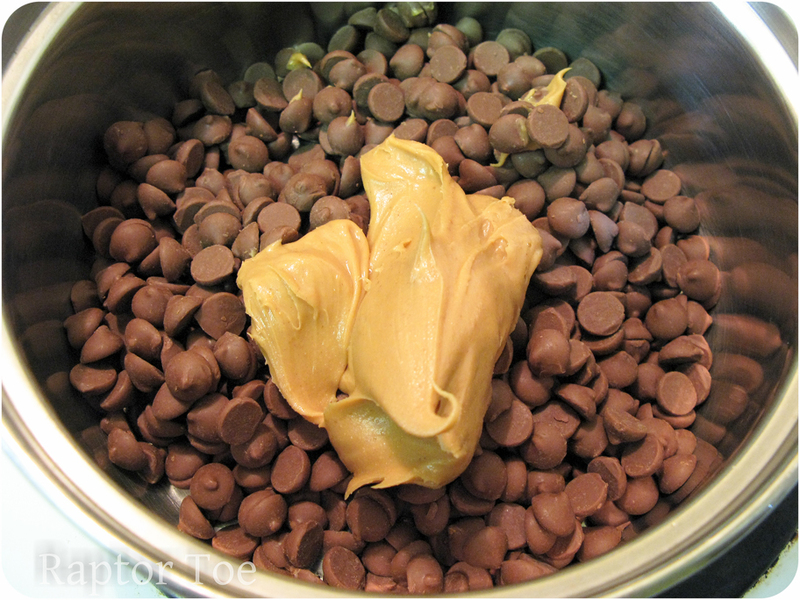 Man, I'm just going to start making peanut butter chocolatey stuff and eating THAT. Sprinkle liberally with mini chocolate chips. 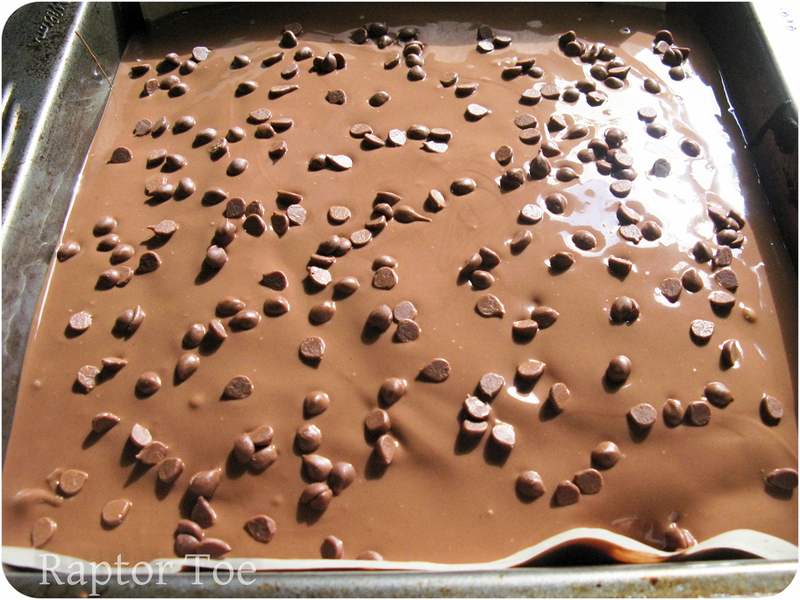 Pop in fridge and allow to cool completely before slicing. Unless you're not brownie-shallow like me and don't care about looks. Eat it! Then watch your friend Bryan eat at least 5 of these, and a few sandwiches you make for dinner. Seriously. He eats everything. This entry was posted on Tuesday, August 23rd, 2011 at 4:48 am	and tagged with baking, blog, breakfast, brownies, brunch, butter, chocolate, cooking, dessert, desserts, dinner, easy, food, food blog, fudgey brownies, healthy, mini chocolate chips, peanut butter, recipe, recipes, side dishes, sweets and posted in Baked, Breakfast, Easy Meals, Food, Sweets. You can follow any responses to this entry through the RSS 2.0 feed. 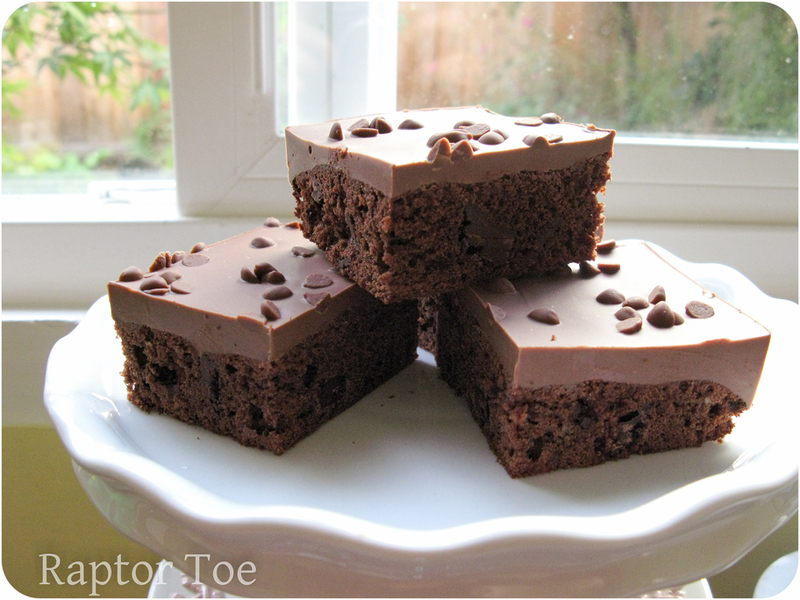 Holy cow… these brownies are off the hook! There seems to be a brownie thing going on these days 😉 Hooray for brownies! I hope Michelle enjoyed this recipe. Wow these are gorgeous. Great job. Love that people are making requests. 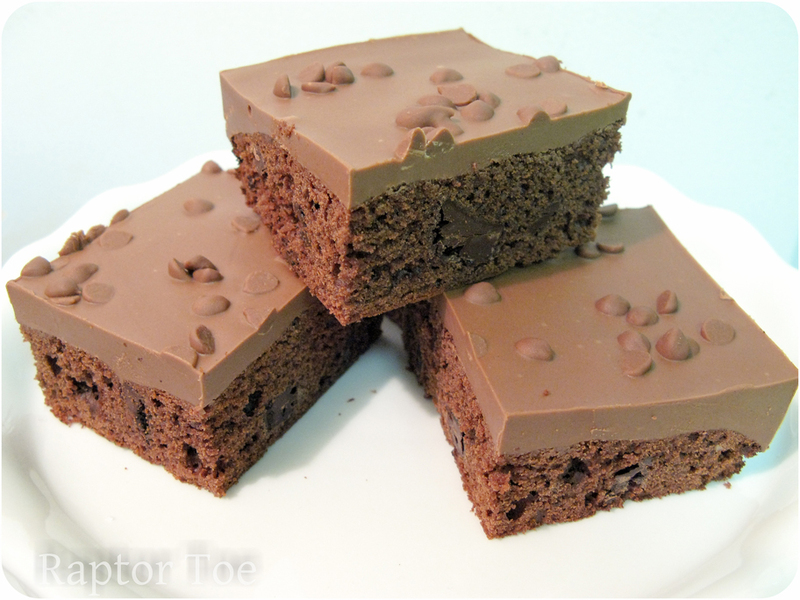 These brownies are so perfect. Way to go! I don’t blame your friend for eating 5, I think I would too. Well they certainly look perfect. I think I prefer mine a little more gooey, but with the topping as well I’m sure I couldn’t resist. Really like the photography too! Wow these look incredible! They look like little cake squares instead of brownies. I’m making these ASAP. The topping is the killer part. I wish I had made the brownie bit a little bit denser. There’s always next time! I think these sound wonderful! Thank you so much for sharing! This looks delicious…and your topping looks as smooth as silk! Stunning! Whether or not you came close to her original idea – Im sure you knocked her socks off! These sound great! Looks like a very cakelike brownie — I like brownies of all types so they look good to me. Peanut butter in the frosting – yes I will take a few! Those look mouth watering. You should start charging for those! !